The war of words between Apple and Samsung heated up last week when both companies took to the stand at the retrial over damages owed by the South Korean firm. 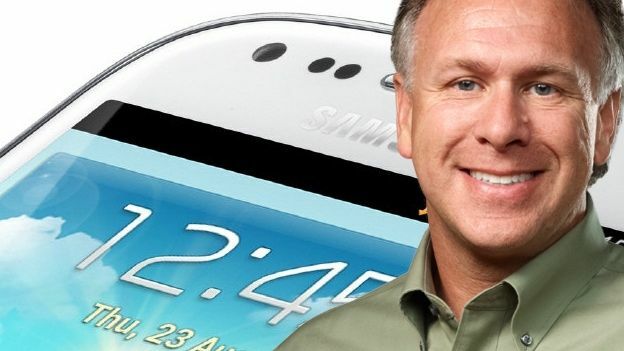 Apple's head of marketing Phil Schiller took to the stand and said the reason why Samsung had been so much more successful than its other Android rivals is because it has copied the iPhone maker much more than them. Samsung's attorney's have argued that that isn't case at all. Rather consumers have chosen to buy its phone because of the differences. Examples given include larger screens, 4G LTE support and Android. “Let's talk about why consumers buy Samsung phones,” Samsung attorney William Price said during his opening arguments Wednesday. However, taking the stand on Friday, Schiller dismissed Price's claims, and said that Samsung had deliberately sought to ape the design and style of the iPhone. He said that the reason Apple deserves the damages is because at the time of the infringement, none of the factors Price argued existed or were negligible in their attractiveness to general consumers. Rather, he argued many consumers saw Samsung's smartphones and identify them as a cheaper way to own an Apple-like product. He said Apple's approach to marketing its products involves making “the product as the hero”. This includes highlighting the features and capabilities that make its devices different. However, he said Samsung's deliberate copying of Apple's phone style and looks caused consumers to “question our design skills in a way they never used to”. He later said copying feature is as damaging Apple as copying 50. “At the end of the day, there's a cumulative effect of doing all of this that's incredibly damaging,” Schiller said. Samsung however denied that features were that important, with one expert for the Galaxy phone maker claiming that no one bought a smartphone for the pinch to zoom functionality. “I believe people bought these phones for other features,” Michael Wagner, an accountant and lawyer hired by Samsung said. That includes bigger, AMOLED screens; faster processors; and 4G LTE." Samsung has admitted that it used the patents without permission. However, it is disputing how much it owes Apple in damages. Apple has asked for $380 million (£236 million) in damages. Samsung on the other hand says that it should only pay $52 million (£32.5 million).